A heavy-gauge plated steel frame assures years of service. The wiping blade is off-white Neoprene backed by a white vinyl cushion blade. 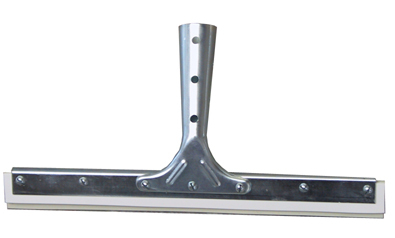 This window squeegee is strong enough to use in applying grout to tile.